Admission essays are obligatory part of the procedure of applications for college. The main goal of a college admission essay is to demonstrate your skills, competences, strengths, and achievements. Your admission essay has to show you in the light of your positive traits, and to convince the Admission committee you are the right person for the given college and major. Hence, you need to sound convincing, on the one hand, but also keep the balance between your real strengths and your weak points. It is not recommended to exaggerate your own achievements, but it is also not advisable to be too “humble”, i.e. to underestimate your skills and achievements. Never forget that the process of preparation for application starts not in the last two or three weeks, but at least months prior to the deadline, not to say a year before that. One of the reasons for unsuccessful application comes from the unrealistic expectations of young people who think that the level of the college they are applying for is not very different from their high-school. Besides, applicants oftentimes are not completely familiar with the requirements for admission: they prepare themselves in the same way for any college, for any major. Actually, every college has its own requirements and you have to prepare yourself according to this information. The first step you need to take is to direct your attention to a given group of colleges which can provide you with the education you think you need. Thus, you have to choose one or two majors to apply for, and then select particular colleges. This step you must take at least one year prior to the deadline for application. The second step is to get familiar with the particular requirements for admission. You can use your time for improving your grades, staying in touch with you teachers to give you a satisfying letter of recommendation, and also for extra-curricular activities (such as volunteering). The third step is to contact the particular college and to ask them about the procedure (personally, if possible). Attend every Induction Day you are able to. You have to start writing your admission essay as early as possible. Your essay will certainly will be re-written several times, thus you will need at least four or five months for doing it. The main thing is to prepare an outline which you can use as a basis for your writing. The outline will contain the main parts of your essay admissions essay as the central idea which you will use as points of departure. Of course, you can do without writing an outline, but in all cases you need to have a draft containing the main points of your essay and draft which you can change or modify later. The following outline contains also a sample structure of an admissions essay. You would like to apply for the major Psychology at the college X. This is a sample of a college admission essay outline written in first person. Psychology is an important and attractive branch of human knowledge. It provides the opportunity to help other people, and also to improve ourselves. I have been interested in Psychology for five years, mainly due to a dozen of books I have read. My brother is a Doctor of Psychiatry so I am quite interested in this field, but I rather prefer working on human soul than on the body. Religious issues also seem important to me, especially problems like the meaning of life and the (non)existence of immortality. Watching movies is not my preferred form of activity, but I’m interested in reading books by authors who have knowledge of human soul such as Melville, Dostoyevsky, Hemingway, etc. I have known the University of X since 2011 when I attended a conference for students organized by Prof. Z who is the Head of the Chair of Social psychology at your university. I was very attracted by the topic of the conference and afterwards wrote to Prof. Z. to recommend me some literature on the topic. Then I realized that University of X possesses plenty of material and academic resources, and provides its students with high-quality education which allows for an excellent career in psychology. I have taken part in a few conferences for high-school and undergraduate students in the field of Psychology and Political sciences. I gave a speech once in (2012) and presented a report two times in (2013 and 2014). I also participated in a translation project for Psychology resources online by translating two articles from Spanish. An academic career in Psychology is the goal which I envisage. I would like to carry out my independent research on the topic of aggression in schools and to work out some methods for overcoming it. I can contribute as a translator and a researcher to the University of X, especially during my Master and PhD studies. As a student fluently speaking Spanish, I am able to translate articles and could also be active as an interpreter. They say no one can choose their destiny, but I believe I am the person who can choose correctly and knows that whatever step I take, it will lead me in the right direction. My admission to the University of X will be an important step in realizing my plans and life goals. Your essay has to contain one main idea to which you will refer several times. This idea could be related to your own interests, experiences, and dreams. In the case with psychology, it may be the conception of self-development, improving oneself and the world together. - “My self-development and growth are assisted by my knowledge of human soul”. One of these sentences can be formulated in the beginning and another one in the concluding part. The other two - in two separate paragraphs or sections. You can choose your own style of writing; it is important to stick to it throughout the whole admissions essay. It is recommended to employ the personal form of writing, i.e. in the first person. Still, do not use it too often. Every paragraph should contain one or two references to yourself, but not more. Besides, you have to avoid speaking about what others need, what their interests are, etc. Speak about what you believe in, what are your needs and convictions. Do not say “It is believed that…”, but rather say “I believe that…”. Do not say “It is widely known…”, but instead say “I think that…”. A good intro not only attracts the reader, but it also shows that you are able to write exquisitely, thereby the reader could enjoy reading your paper. There are two common ways for writing a good introduction: the first way is to tell a personal story about experience you have had; the second way is by referring to a given philosophical sentence or saying. The latter, though, requires further elucidation, thus it may become boring for the reader. 2 common ways for writing a college admission essay introduction: 1) to tell a personal story about experience you have had; 2) by referring to a given philosophical sentence or saying. Way 1: “My first encounter with Psychology was in a dark room, with candle light. For the very first time I started thinking about the nature of fear, and the reasons why I wanted to go out, to the sunshine, and at the same time I partially enjoyed the darkness.” (and you can add more info about this experience and to relate it to your eagerness to study psychology). Here you have to tell more about your interests, both of personal and professional character. Remember that this section is not like the conversations you have with recently met people of your age, where usually young people speak only about their favorite music and movies. It is important to relate your interests to the field of study you are aspiring to. You can list such activities as: reading academic literature (in the particular field), maintaining an internet forum, watching documentaries, etc. Do not be afraid to say also what your hobby is, or what other interests you have (besides the academic one). Here you need to clarify why you want to apply for the particular college and major. It is very important to show your knowledge about the college, and to demonstrate respect for its history and achievements. Have you been in touch with the college, or any of its staff recently? Perhaps you have read books written by some of its professors, or attended conferences, or one of your friends is a PhD student there? Advice: be honest. Tell what your real motivation is, of course, with all respect for the college. Find the positive sides of your study there, even if the college is low-ranked. Remarkable professors teach at every college, so you just need to have some information about this. When you think about achievements, you should not include only those from school, because every personal achievement could be counted here. Besides school achievements (grades, prizes, etc. ), you can also add some extra-curricular activities (music festival, exhibitions, other cultural activities), sport achievements, volunteering, etc. The recognition you have gained from the society is an achievement, but still you should refer to only those which are certified. Regarding skills, you have to formulate them in short. This part is not mandatory. The same is with competences. The latter should be also certified: knowledge of languages, IT competences, and other competences which can be related to your future field of study. Contributions are an important part of your admission essay. You can contribute to your college in different ways: in the academic sphere (to participate or even organize conferences, seminars), in the field of students’ activities (to take part in the decision-making process regarding various problems which students have), in the field of sport, etc. Don’t write that, “I will do this and that”, but rather “I will be useful with my knowledge and competences in the field of this and that.” Be precise and do not boast: this will only make the reader unsympathetic about your application. The concluding part does not need to be catchy. Nonetheless, it is advisable to repeat your main point, formulated in another way (see section “main idea”). The conclusion has to be short, no longer than five or six sentences long, within one paragraph only. 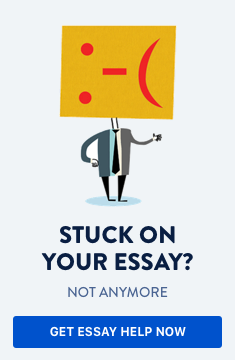 The revision of your college admission essay should be done several times. In all cases, you must handle it to your teacher, to a friend who has already applied earlier and is familiar with the process, and probably to your school counselor. Make yourself sure that all the sections of the admissions essay are consistent and written in a precise and clear manner. Your college admissions essay is important, but you have to prepare yourself for an interview as well as to have all required documents for application. Never forget that the interview should confirm the positive impressions from the essay, but it can also disappoint the admission committee. In the end of the day, whatever happens, you have a chance to apply again - do not give up and follow your dreams!